accelerate your way to happiness & success! What if you could live the most incredible life... with Love, Happiness, Wealth, Health & Success! What if you had a crystal clear path that empowers you to reshape your life in ways you can't even imagine? What if YOUR dreams became YOUR reality? In a world of unprecedented changes, of disappointments, fears and confusion, there also sounds the steady voice of Truth. Eight Truths, actually, that illuminate, encourage, love and guide you into creating a dream-come-true life by design. We help you to create lives worth living and businesses worth owning. Please join us for this incredible adventure on the way to understanding and living these 8 Universal Truths, which will enable you to live your greatest life. If it is time to make a change. If your intention is to make your life extraordinary now while creating long-lasting passionate relationships with yourself, and your goals and dreams, then join our mastery program today. During the Introductory Seminar, Geraldine shares with you the first and vital steps needed to experience your unique expression of happiness. Key elements include, understanding this incredible time of change and how to thrive in the midst of it; an introduction to quantum mechanics which enables you to finally clear doubt, remove anxiety and create certainty (you will love this! ); and discovering the one simple, but often unknown, secret ingredient to living your unique version of happiness. LEVEL 1 will have you believing that you can achieve the so-called “impossible." Each week builds on the week before as Geraldine shares vital information, and the practical steps, which help you to make the changes that are necessary so as to live the way you wish to live. These sessions take your knowledge and understanding to a whole new level around the world of quantum mechanics, heart science, and the workings of the mind – this consciousness-raising level is all in preparation for embracing the New World ‘Dream Creation Process' shared in Level 2. During Level 2, you will begin to master the step by step 'Dream-Creation' process which is in alignment with 5th dimensional living, and put it to work on your own specific goals and dreams. Each week, Geraldine takes 1 step of the creation process and expands on it in such a way that you will know exactly what needs to be done - no more questioning self and wondering if you are doing it right! 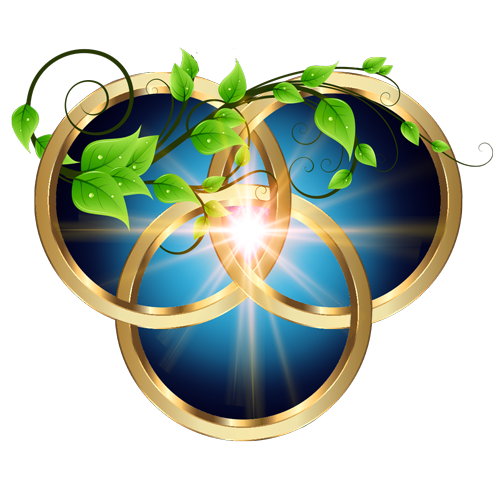 When you use all that is included in this level to build upon the foundational elements acquired during Level 1, you become a very powerful co-creator of all your heart’s desires! Level 3 ensures your continued growth into higher levels of consciousness. It gives you the final pieces of the puzzle needed for you to achieve mastery. You will confidently step into living your natural state of health, wealth, and happiness. 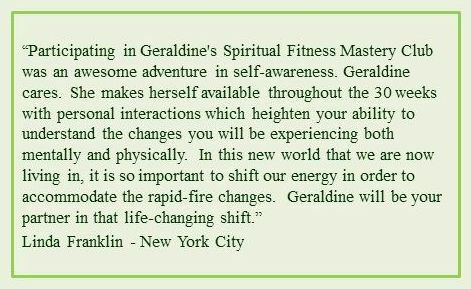 In these sessions, Geraldine delves into concepts such as oneness and self-worth, and also pays particular attention to building your consciousness around loving relationships, health and well-being, money and career. It is a well known fact that it takes 30 days to change a habit ... just imagine how 30 weeks of total focus will change your life! Purchase the full Program with a single payment of $650 which includes the Intro Seminar, all 3 Levels and Product. If you have a question, it may be answered HERE. If you have any other questions regarding the Mastery Club Program, please feel free to email Geraldine.